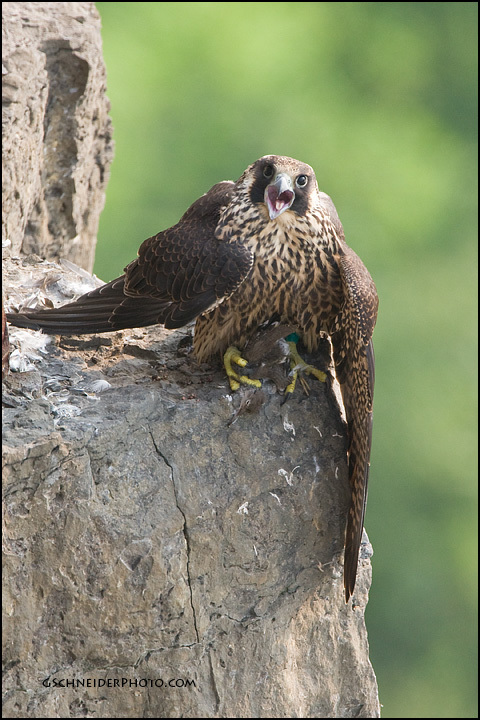 As residents of cliffs (alternatively, downtown office towers), it should come as no surprise that peregrine falcons breed at Niagara Falls. 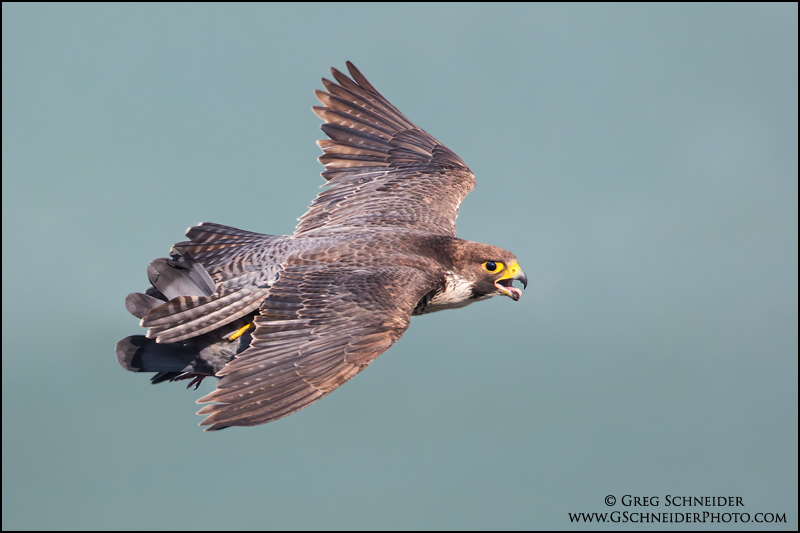 My first visit was in 2008, when they nested on the Canadian side and entertained photographers and birders at length. From my understanding they then bred on the American side for several years, which is not well-suited for photography. This year (2012) they once again nested on the Canadian side, in the old OPG building. This put them directly below the sidewalk along the edge of the gorge, just hundreds of yards from the falls’ edge. 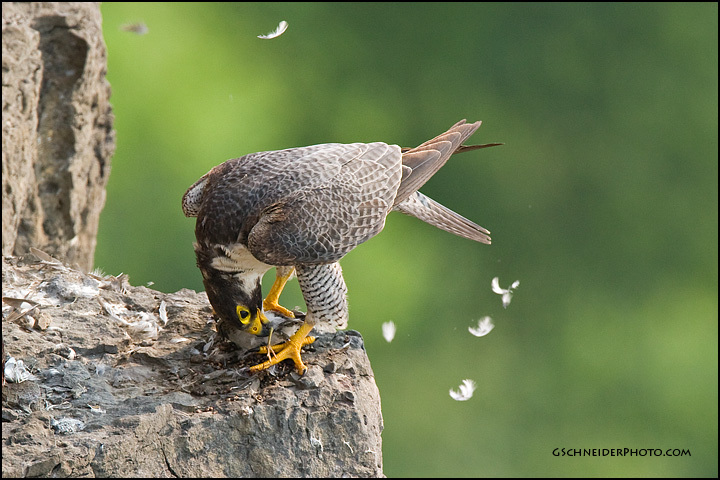 I visited on several occasions, and while opportunities are never guaranteed, one day in particular was incredible, with the young peregrines testing their wings, chasing each other and learning how to take food from their parents – all in midair. 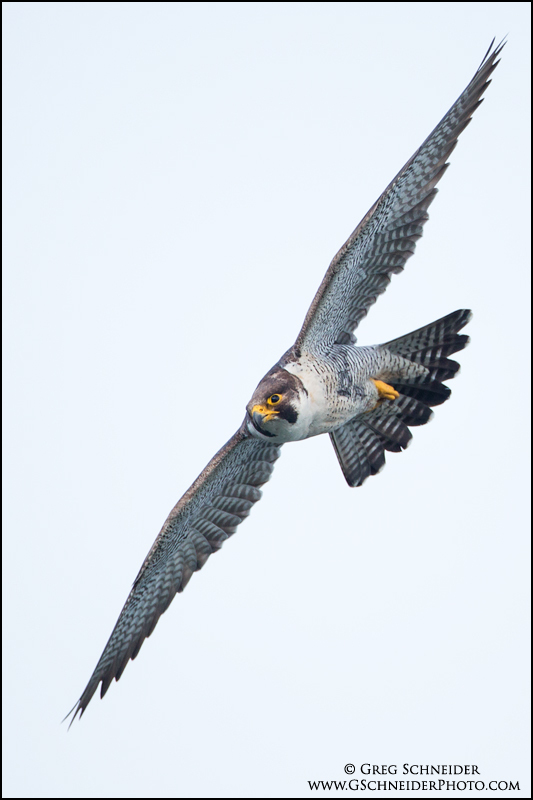 It is one of a kind sight to see a peregrine rapidly coast upwards on thermals, just inches from the gorge’s fall, spiralling hundreds of feet up, only to tuck its wings back in a rapid stoop in pursuit of prey. These spectacular stoops are almost too difficult to photograph at close range, as these have been measured at nearly 200mph! Here’s to hoping they return next year to entertain onlookers. To be honest, I think the birds are almost more curious about us at times than we are of them. Nice post,These are very great pics , i like the various angles of all the pictures you have shared to us specially the flying Eagle, really appreciate the clarity of the picture , i like to collect the pics of nature , birds and wild life etc. Outstanding photographs, frame to frame stills are excellent.